Dr D Y Patil, a Padmashree recipient, and former Governor of the Indian States of Bihar, Tripura and West Bengal is the founder of the D Y Patil Group. In the realm of education and healthcare in the state of Maharashtra, one name stands out like a shining beacon, that of Dr D Y Patil. His vision, dedication and passion have been indelibly influenced, by his wisdom and generosity and have left several benchmarks, be it in the schools for imparting basic education or institutes for higher learning. His regard and respect for traditional values and openness to modern ideas, blended perfectly with his admirable personality. Amongst the hundred and over institutes founded by him, the Padmashree Dr D Y Patil University is virtually the jewel in his crown. Humble and unassuming Dr. D.Y. Patil is better known for his work, rather than the awards and recognition he has received over the years. For his pioneering contribution in the field of education, he was honoured with the title ‘Padmashree’ by the President of India. Established in 1995, Dr. DY Patil Medical College, Pune is a constituent college of Dr D.Y. Patil Vidyapeeth, Pimpri, Pune. This is the first private College in the State of Maharashtra to receive MCI approval to increase the intake capacity of MBBS Course from 100 to 150 students in 2003 and from 150 to 250 in 2012, within the short span of time. 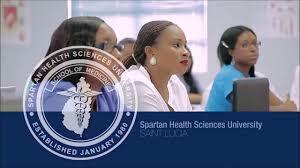 The College has 1290 bedded well-equipped own hospital, backed by a Research Centre. The hospital is equipped with 18 operation theatres with the latest equipment, well maintained Intensive Care Units, Clinical Laboratory with modern equipment, Intervention Radiology facility and diagnostic imaging modalities like 1.50 and 0.2T MRI, CT Scan, 2D Echo, Colour Doppler, X-ray machines, Ultra-sonography, etc. Other facilities like Endoscopy, Colposcopy, Cardiac Monitors, Renal Dialysis Machine, EEG, ECG, etc. are also available. Emergency Medical Service Department with qualified medical staff and all monitoring and diagnostic facilities, 24 x 7 Blood bank with component facility, Eye bank with eyeball retrieval service round the clock, Human Milk Bank, Renal and corneal transplant facilities with Government recognition, etc. Apart from 250 MBBS Seats in DY Patil Medical College, Pune the College also conducts Postgraduate Degree and Diploma Courses the annual intake of 145 in the following 19 subjects : General Surgery, Obstetrics & Gynaecology, Orthopaedics, Opthalmology, ENT (Oto Rhino Laryngology), General Medicine, Paediatrics, Anaesthesiology, Psychiatry, Radio-diagnosis, Pulmonary Medicine, Skin & Venereal Diseases, Pathology, Community Medicine, Pharmacology, Microbiology, Anatomy, Physiology and Biochemistry. The College also conducts Super-specialty Courses in Neurosurgery, Urology and Nephrology with the annual intake of 3 seats per year (one seat in each subject) and Ph. D. Courses in all subjects. The Malaysian Government and Malaysian Medical Council recognize the MBBS program offered by Dr D. Y. Patil Medical College, Pune. The International Recognition will enable our Medical College students to be appointed as Government Doctors in Malaysia, a unique opportunity to have international exposure in the field of Medicine. MBBS Fee Structure in DY Patil Medical College, Pune is Rs 12,00,000 per year. Tuition fee in DY Patil Medical College, Pune is payable in yearly installment for 4.5 years. The total Course fee structure for MBBS in DY Patil Medical College, Pune is Rs 54 Lakhs (Approx). DY Patil Medical College, Pune admissions are done as per the relevant regulations of the UGC, MCI, Government of Maharashtra and other Statutory bodies Concerned. Admission in DY Patil Medical College, Pune is made through an All India Common Entrance Test conducted by the college itself. The selection of the students will be done based on the ranks obtained in the Entrance Examination. DY Patil Medical College Pune, DY Patil Medical College Kolhapur and DY Patil Medical College Navi Mumbai Conduct their Own Entrance Test Independently and Separate merit list is announced for all three medical colleges. It should be noted that a Student seeking admission in DY Patil Medical College, Pune should apply separately. There is no common application / Entrance Test for admission in DY Patil Medical College. Please note that General Merit Admission for MBBS in DY Patil Medical College, Pune is not available through AIPMT Counselling. Total number of MBBS seats in DY Patil Medical College, Pune is 250. DY Patil Medical College Admission 2016 matrix can change as it is subjected to norms of Government of Maharashtra & MCI Guidelines. Admission in DY Patil Medical College, Pune is subject to meeting the minimum eligibility criteria. Among the total number of MBBS seat in DY Patil Medical College, Pune i.e. 250, 85% of total intake (212 seats) will be filled by the Entrance Exam & 15% (38 seats) are Under NRI/PIO / Foreign National Category. Admission under NRI Category in DY Patil Medical College is based on merit of class 12 marks. Disclaimer: The information provided here is best to our knowledge. We do not guarantee the aptness of information. We would recommend to verify the information from Institute’s website as there could be changes from time to time. The above information is for information of students community in large and does not mean that we provide management quota admission in DY Patil Medical College Pune. 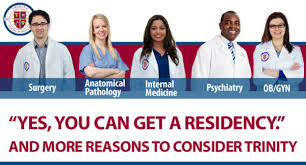 We do not provide direct admission in DY Patil Medical College Pune under management quota. Except Foreign / Nri Quota admission in DY Patil Medical College Pune all other admissions in DY Patil Medical College Pune takes place through selection process only. 100% confirm admission in dy patil medical college navi mumbai, 100% confirm admission in dy patil medical college pune, 2018 MBBS, address of PADMASHREE DR D Y PATIL institute of medical sciences PADMASHREE DR D Y PATIL, admission for medical, admission for medical colleges in India, ADMISSION IN DR DY PATIL PUNE, ADMISSION IN DY PATIL ADMISSION COLLEGE, ADMISSION IN DY PATIL COLLEGE PUNE, admission in dy patil medical college, admission in dy patil medical college kolhapur 2018, admission in dy patil medical college pune, ADMISSION IN DY PATIL MEDICAL COLLEGE UNDER MANAGEMENT QUOTA, ADMISSION IN DY PATIL MEDICAL COLLEGE UNDER QUOTA, admission in MBBS, admission in MBBS 2018, admission in MBBS in India, admission in MBBS in Pimpri Pune, admission in MBBS through management quota, admission in MBBS without donation, admission in medical colleges in India, admission MBBS, admission medical colleges India, admission of MBBS, admission to MBBS, admission to MBBS in Pimpri Pune, AIPMT 2018 Answer Key, AIPMT 2018 Result, all India medical entrance exam 2018, ALL MBBS COLLGES OF MAHARASHTRA, Amupmdc, amupmdc 2018 results, AMUPMDC ASSO CET 2018, amupmdc asso cet 2018 adit card, AMUPMDC ASSO CET 2018 Answer Key, AMUPMDC ASSO CET 2018 Counselling, amupmdc asso cet 2018 practice papers, amupmdc asso cet 2018 question papers, AMUPMDC ASSO CET 2018 Result, AMUPMDC ASSO-CET 2018 Eligibility Criteria, AMUPMDC ASSO-CET 2018 Notification, AMUPMDC ASSO-CET-2018 ImportantDates, AMUPMDC Asso-CET-2018-Application Submission Process, AMUPMDC BAMS Entrance Exam, AMUPMDC BDS Entrance Exam, AMUPMDC BSc Nursing Entrance Exam, amupmdc cet 2018 result, amupmdc colleges, AMUPMDC MBBS Entrance Exam, amupmdc merit list 2018, amupmdc pg 2018, amupmdc pg cet 2018, amupmdc results, AMUPMDC- Pimpri PuneDental UG Entrance Exam, AMUPMDC- Pimpri PuneMedical UG Entrance Exam, asso cet 2018 result, asso cet Pimpri Pune2018, asso cet result 2018, associate cet Pimpri Pune2018, association cet Pimpri Pune2018, B.Phytherapy and PG Courses 2018 Admissions, B.Sc Nursing 2018, B.Sc Nursing B.Phytherapy and PG Courses: MD/MS, Bachelor of Medicine Bachelor of Surgery, BAMS, bds, bds admission, BDS Direct Admission 2018 in PADMASHREE DR D Y PATIL Medical College, best admission agent for dy patil medical college Kolhapur DY PATIL MEDICAL COLLEGE, best admission agent for dy patil medical college navi Mumbai dy patil medical college pune, best admission agent for dy patil medical college pune dy patil medical college kolhapur, best admission agent in maharashtra, BEST MBBS COLLEGES IN MAHARASHTRA, BHMS, CET Pimpri Pune, cet Pimpri Pune2018, cetPimpri Pune2018, cmat 2018, COMEDK, confirm admission in dy patil medical college kolhapur, confirm admission in dy patil medical college navi mumbai, confirm admission in dy patil medical college pune, Contact mbbsenquiry at 9035924718 for more details, DCI recognised dental colleges, DCI recognised dental colleges. MBBSenquiry 2018 PADMASHREE DR D Y PATIL, Deemed university Admissions 2018, dental college in PADMASHREE DR D Y PATIL, direct admission for MBBS PADMASHREE DR D Y PATIL Medical college, Direct Admission for UG Courses: MBBS, direct admission in 2018, direct admission in bds, DIRECT ADMISSION IN DR DY PATIL, DIRECT ADMISSION IN DR DY PATIL UNIVERSIT, DIRECT ADMISSION IN DR DY PATIL UNIVERSITY, DIRECT ADMISSION IN DR DY PATIL UNIVERSITY PUNE 2018, DIRECT ADMISSION in Dr. DY PATIL UNIVERSITY 2018, DIRECT ADMISSION IN DY PATIL COLLEGE, DIRECT ADMISSION IN DY PATIL MEDICAL COLLEGE, direct admission in dy patil medical college kolhapur, direct admission in dy patil medical college navi mumbai, direct admission in dy patil medical college pune, DIRECT ADMISSION IN DY PATIL UNIVERSITY, DIRECT ADMISSION IN DY PATIL UNIVERSITY 2018, Direct Admission in MBBS 2018 in PADMASHREE DR D Y PATIL Medical College, direct admission in MBBS in India without donation, direct admission in MBBS in Pimpri Pune, direct admission in MBBS in Pimpri Pune2018, direct admission in MBBS without donation in India, direct admission in md ms 2018 MBBSinfo, direct admission in medical college in India 2018 Booking, direct admission in medical colleges, direct admission in PADMASHREE DR D Y PATIL university, DIRECT ADMISSION IN TOP ENGINEERING COLLGES OF INDIA, Direct Admission in Top MBBS Colleges through Management Quota, Direct Admission in Top MBBS Colleges through Management Quota Andhra Pradesh, Direct Admission in Top MBBS Colleges through Management Quota in .., Direct Admission in Top MBBS Colleges through Management Quota in Bangalore, Direct Admission in Top MBBS Colleges through Management Quota in Chennai, Direct Admission in Top MBBS Colleges through Management Quota in Delhi, Direct Admission in Top MBBS Colleges through Management Quota in Hyderabad, Direct Admission in Top MBBS Colleges through Management Quota in Kolhapur, Direct Admission in Top MBBS Colleges through Management Quota in NCR, Direct Admission in Top MBBS Colleges through Management Quota in Pimpri Pune., Direct Admission in Top MBBS Colleges through Management Quota in Pondicherry, Direct Admission in Top MBBS Colleges through Management Quota in Punjab. Amupmdc, Direct Admission in Top MBBS Colleges through Management Quota in TamiPadmashree Dr D Y Patiladu., Direct Admission in Top MBBS Colleges through Management Quota in Uttar Pradesh, Direct Admission in Top MBBS Colleges through Management Quota in Uttarakhand, Direct Admission in Top MBBS Colleges through Management Quota in Vellore, DIRECT ADMISSION PROCEDURE @ DY PATIL MEDICAL COLLEGE, direct admission to PADMASHREE DR D Y PATIL Institute of Medical Sciences & Research 2018, direct admission to PADMASHREE DR D Y PATIL mbbs, direct admission toPADMASHREE DR D Y PATIL PADMASHREE DR D Y PATIL 2018, DIRECT B.E/B.TECH/MBBS ADMISSION IN DR DY PATIL UNIVERSITY, direct MBBS admission in India, direct MBBS admission2018, Direct MBBS/MD/MS/BDS Admission 2018 In PADMASHREE DR D Y PATIL PADMASHREE DR D Y PATIL Medical College, direct PADMASHREE DR D Y PATIL admission MBBS, dmer, Doctor of Medicine, donation for MBBS admission PADMASHREE DR D Y PATIL medical college, dy patil college mbbs admission 2018, dy patil college mbbs admission 2018dy patil medical college navi mumbai, DY PATIL ENGINEERING COLLEGE, dy patil medical college, DY PATIL MEDICAL COLLEGE ADDRESS., DY PATIL MEDICAL COLLEGE AURANGABAAD, DY PATIL MEDICAL COLLEGE DIRECT ADMISSION, DY PATIL Medical College Navi Mumbai, dy patil medical college pune, entrance exam for PADMASHREE DR D Y PATIL MBBS, entrance exam of private medical colleges, fee for MBBS in India, For More Information Regarding Medical Entrance Exam 2018, how i get admission in dy patil medical college kolhapur, how i get admission in dy patil medical college navi mumbai, how i get admission in dy patil medical college pune, how to get admission in DY PATIL MEDICAL COLLEGE, how to get admission in MBBS, how to get admission in MBBS in India, HP CPMT, i want admission in dy patil medical college kolhapur, i want admission in dy patil medical college navi mumbai, i want admission in dy patil medical college pune, i want admission in MBBS, in Pimpri Pune., India, Pune and Mumbai.